Cashfinders "R" Us We search the earth to improve your net worth! We are asset recovery specialists, and we believe we have identified unclaimed monies that belong to you. We don’t charge anything upfront, and we NEVER ask for any personal information. If we are not successful in proving your claim you owe us nothing. unclaimed judgment and lien payments, etc. We know this sounds ‘too good to be true’. But it is true. The reason we are contacting you is to retrieve these funds from the funds holder, buy you out upfront, and make profit in the process. Our offer for a buyout is based on our risk (we might not recover the money), the time it will take to retrieve the funds, and our costs. It isn’t cheap to find, research and retrieve these funds. But we do it every day, we take on all the expenses ourselves, and we are very good at it. Right now, we have to confirm that we have the right person. Once we have confirmed that, we double check the funds being held, do further research to make sure we can retrieve the funds, and make you an offer. 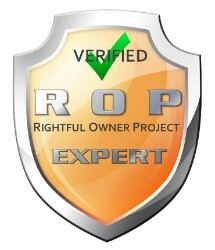 We’re Better Business Bureau accredited, A+ Rated, and a member of RightfulOwnerProject.org. Let us help you collect what's rightfully yours. Not a penny comes from your pocket. WE ARE PLEASED TO BE ACCREDITED BY THE BETTER BUSINESS BUREAU. WE HAVE BEEN A MEMBER SINCE 2011 WITH NO COMPLAINTS! We adhere to the highest standards of accuracy and truth in advancing the interests of those we represent and in communicating with the public. We responsibly use specialized knowledge, techniques and experience. This knowledge is valuable to our clients and customers and we provide this expertise for profit, assuming risk and often incurring costs in advance. As a result, we profit from our expertise in a manner that is neither unconscionable nor unfair. We are faithful to those we represent and those we transact with. We deal fairly with clients, customers, employers, competitors and vendors. We follow all local, municipal, State and Federal laws, statutes and guidelines when conducting asset recovery.